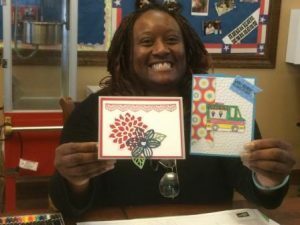 Several friends at WFSC (Warrior Family Support Center) kept asking us to plan a day in Fredericksburg for them to come out and make cards. Those plans finally came together on April 27. The plan was to meet at the Cypress Room at Fredericksburg Inn and Suites where everyone would make four cards in the morning and four after lunch. As it turned out only half of the people signed up were able to come due to appointments, etc. , which meant the people who intended to teach were able to relax and make cards and visit. There was also a special treat for the guests. They each got a 30 minute chair massage!! What a fun day!!! 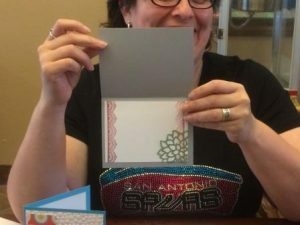 For years I have been saying “Card Making is not my Thing. I’ll help out at WFSC (Warrior Family Support Center) but it’s just not my thing!” Well I have been getting a lot of guff lately for those words. In fact I’ve been choking on them. You see, the ‘bug’ has gotten me. I am now buying card making supplies and even designing cards. Somehow my dear friends to whom I shouted those words are laughing and keep reminding me and anyone who will listen, that “Cards are NOT my thing”. So I confess, I have come to enjoy creating and sharing those creations with family and friends. 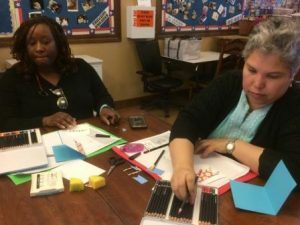 On May 2 both Jackie and Sharon were unavailable to go to Fort Sam for the card class so Susan and I made the trip and I got to teach two of my designs. We had a nice group all of whom have made cards before so took my sample and used their ‘Artistic License’ creating their own version. That was most evident on the first card. 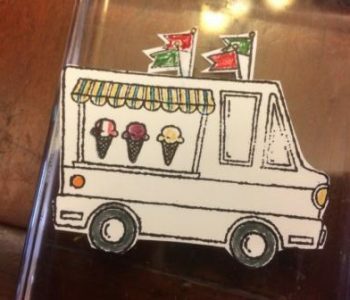 Mine was an ice cream truck. Others had taco and cup cake trucks. Everyone had a good time. 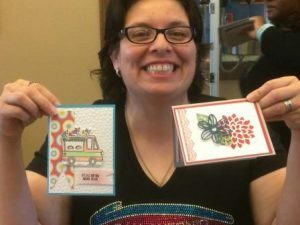 Come join us, even if “Card Making isn’t your Thing” you may just have fun. AND you will leave with two cards you created!! Besides all that, it’s therapeutic – a great way to kill time waiting for an appointment or to go pick up your honey. Classes start at 10 AM on the 1st and 3rd Tuesday of each month. 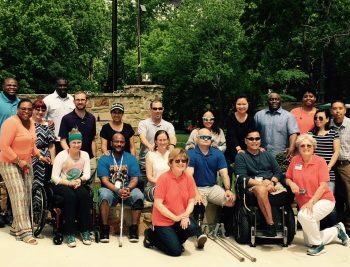 Last Friday (4/21/17) Sharon and I met Chaplain Thompson (WTB, HHC) and nine couples in Seguin at the SS American Memorial aka Lazy U Ranch. It was a perfect day to be outside especially in such a beautiful setting. The property has the Guadalupe River on one side and Lake Placid on another. When we arrived, the couples were already a “Marriage Wellness” session with the chaplain. This gave us the opportunity to meet and visit with three veterans who help run and maintain the property. You see, the owner has dedicated the property to helping those who are or have served their country. To visit their website Click Here or go to ‘Related Links’ above. The chaplain gave everyone a short break, long enough to grab donuts or kaloches and a beverage and to say hello to us before heading back for more words of wisdom. Lunch was Bill Miller Barbecue chicken and brisket. WOW! what a treat! There was another session following lunch then everyone was on their own. They had the option of staying and enjoying the weather, kayaking, playing games or leaving. Ben Kavnli, Olympic Outdoor Center, San Marcos was at the river helping all who were adventurous enough to kayak. Ben has generously provided the kayaks, help and/or instructions at our events for several years now. It’s so humbling to see how these warriors handle their ‘New Normal” and help each other. Rather puts our minor aches and pains into perspective. Special Thanks to Ben for his generosity. To check out his website Click Here or go to “Related Links” at the top of this page. Photos of the event are in the album “Marriage Wellness”.  Click on Photos at the top of this page. Thanks to Craig Russell, owner of SS American Memorial ( website ) It’s nice to be back in Seguin. Ryan and Brandon, THANK YOU for all the help with setup, cleanup and everything else!! 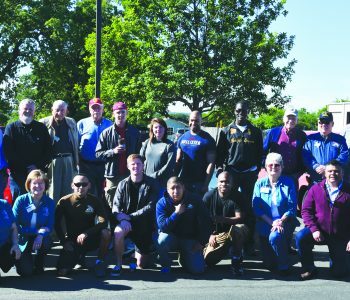 Nine Marines (7 patients and 2 staff) met the WWAN team at Clear River Pecan Co. for breakfast then headed out to Street Dreams to tour the facility and meet members of the Fredericksburg Vintage Car Club for a ride in the country. After looking and photographing cars in Street Dreams, the warriors were told to pick the car they wanted to ride in from those in the parking lot. Talk about a scramble!! They headed out Olive street towards Willow City. The owner of Harry’s Bar in Willow City is a Marine and wanted them to stop for a snack, music and stretch. There was some “Musical Cars” as they loaded up to continue the tour. From there we headed back into town to Backwoods BBQ for lunch. As if that wasn’t enough food for the day we had to end the adventure where it began at Clear River for ice cream!! It was a perfect day to be outside. Everyone enjoyed the ride. THANK YOU, THANK YOU Fredericksburg Vintage Car Club!! Sharon and I were at Ft Sam the next day and saw several of the Marines that had been here. They were still talking about how much they enjoyed visiting with you all and of course the great ride. Our thanks also to Backwoods BBQ and Clear River Pecan Co. for your generosity. 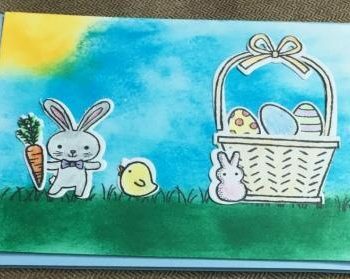 Paul and Paula each designed and taught an Easter card at the last card class (21 March) at WFSC. Paul loves sponging so naturally his had lots of sponging in the background to offset the adorable chick and bunny. 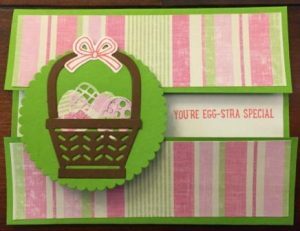 Paula’s featured an Easter basket with multiple eggs cut with framelets and soft pink & green stripes. Both were fun to make and demonstrated multiple techniques. There have been several changes to dates of events on the Events Calendar. Soooo if you have been planning to attend one of the events you might want to check out the calendar to be sure yours hasn’t changed. To check events your interested in, click on “Events” in the menu at the top of the page. The WWAN card making team arrived at WFSC yesterday to discover the ‘official WFSC calendar’ showed the class on 14 Feb instead of 7 Feb. OOPS!! The class is ALWAYS the 1st & 3rd Tuesday of the month. The next class will be on 21 February NOT the 14th. Stuff Happens. See you on the 21st. 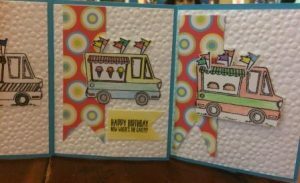 The Card Making Class on the 1st and 3rd Tuesday of each month usually results in the creation of two or three cards. However, sometimes our artists/teachers decide to do something different. Here are a couple of examples of boxes we have made. The Christmas one is perfect size for cards or a small gift. The ‘animals’ open on the back where small pieces of candy or money, etc. can be put. Of course kids love these whimsical gifts. Everything is made with card stock. 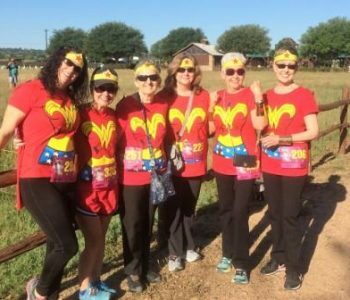 Give some serious thought to joining the WWAN team in the Craft Room at WFSC at 10am. You never know whats waiting to stimulate your creativity.